This deluxe color maze is one of the few unique intellectual proprerty mazes I had created, and is in 3D! I had envisioned a complex overlapping set of maze corridors, but things quickly got to the point where I needed to color-code each level of the maze. I also tried to use shadows from overlapping corridors as "fake acid pools." Psych! 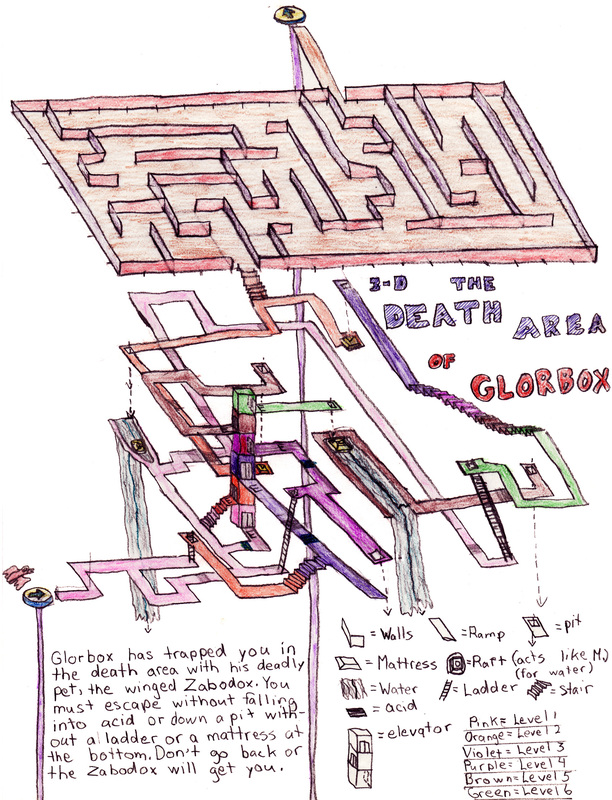 Also, Glorbox? Really? Eh. I was, like, eleven.